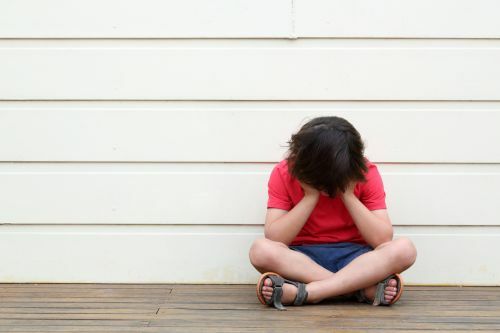 Parents - why do people stammer? 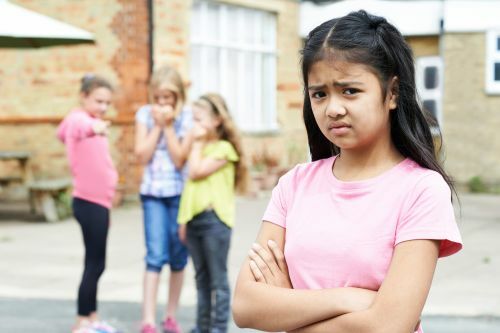 Over the centuries, there have been countless theories about possible causes of stammering and there are researchers across the world who are trying to find out exactly what makes one child more vulnerable than another. Recently there has been growing evidence that genetics plays an important part, but not in all families. We will discuss this and other possibilities in more detail later. 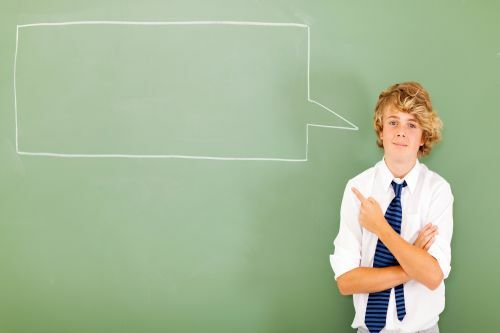 What can influence stammering in children? 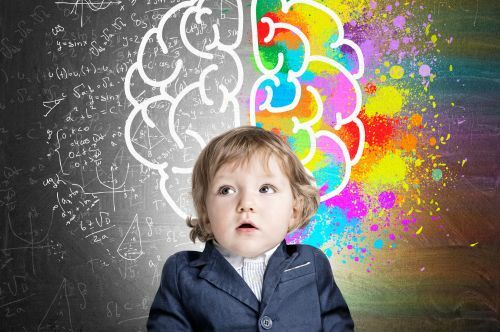 Every child is unique. We use this diagram below to help understand the factors that might explain why a child starts to stammer, how the stammer changes over time, why children stammer more or less in particular circumstances and the impact that it has on the child and family. Everyone is born with their own physical 'make-up' and as we grow and develop, everyday experiences shape our personal characteristics, our strengths and our vulnerabilities. 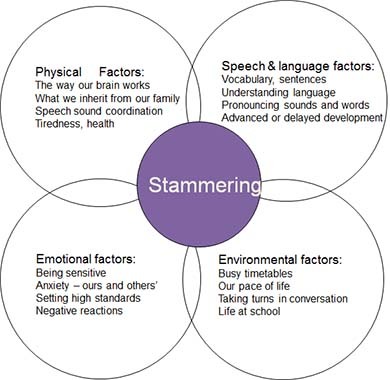 Each individual who stammers will probably have a different combination or 'loading' of these factors and these can change over time. The diagram below shows some examples of the factors that might be important for a child.